It's 2018 and you're still not running an Ad Blocker? If you’ve made this far and still haven’t installed an Ad Blocker in your browser, I salute you. I gnash my teeth whenever I jump on a machine that doens’t have one. 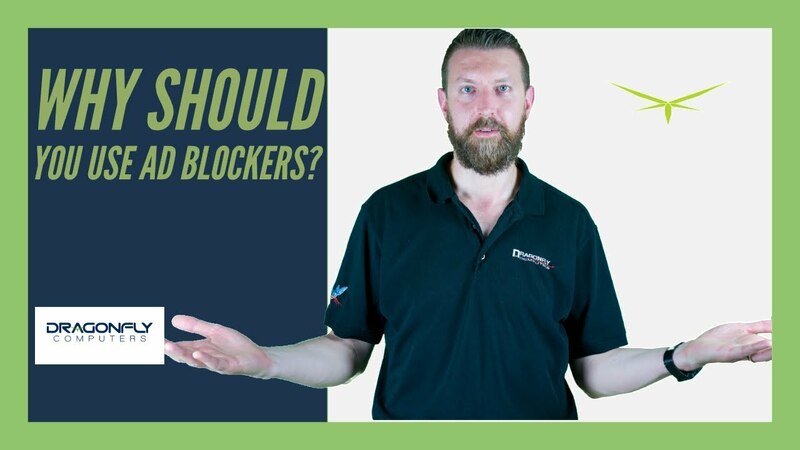 If you’re interested in why or why not to use Ad Blockers in 2018, watch the video or read on. Why should I use an Ad Blocker? Now I’m not saying that every time you load a banner ad on a website you’re going to get spyware infection on your machine. However, it does open an attack vector to your computer, which is another reason you may want to block ads on websites. Ad Blockers can also block some of the tracking codes that websites use to track you from site to site. If you’ve ever been browsing for a pair of shoes on Amazon, then hit your Facebook account only to see an ad for that same pair of shoes, you know what I’m talking about. You can’t always block that stuff (not without some serious effort) but you can stem the tide a little bit. What’s the downside to Ad Blockers? Ok, there’s a few catches here. One is that some free Ad Blockers still report your browsing traffic to advertisers. This one doesn’t bother me as much. Everything you do online is tracked by various organizations (literally everything). If advertisers are still getting your data (which they’d get anyway) but you don’t have to see their ads, I consider this a win. Some Ad Blockers have deals with certain advertisers to show their ads regardless. There’s two fixes for this. One is to run more than one Ad Blocker, another is to uncheck the “Show acceptable ads” option within the settings. (There’s a third “nuclear option” which I’ll cover in the Adblock tutorial). Another thing to contend with is that some ad blockers do break certain websites (or elements of them). You’ll need to learn how to use your ad blockers a little bit to make changes when necessary in order to continue browsing the web successfully. Finally there is the “moral grey area” argument that websites like to make. They say that running Ad Blockers deprives them of the revenue they need to continue delivering “free content.” To me, that’s a non sequitur. They can’t guarantee that they can keep your computer safe while continuing to run these ads, so a compelling argument can be made on both sides. One thing you’ll notice as soon as you start running Ad blockers, is that most major websites will now display a message on screen compelling you to whitelist their website lest they go out of business and stop being able to provide content. Some will even go as far as to block your access to the website completely unless you shut off your ad blocker. (As soon as you do, you’ll instantly be reminded why you have one in the first place). I will include a method for hiding your ad blocker from sites like this which will allow you to continue to browse them, but it requires installing a certain Ad Blocker on a certain browser to work. You’ll have to view our tutorial for that. What is Malvertising? It’s the term used for hijacked banner ads which serve up spyware to users of websites without them having to “do anything.” Meaning, just the simple act of going to a website (during which your browser is forced to load some banner ads). Allows malicious code to load in your browser and now your computer is infected. Malwarebytes wrote an exhaustive two part piece on everything you need to know about Malvertising but were afraid to ask. This is pretty much the ultimate guide if you want to know more. How could they allow malvertising to happen? and 1.6 Billion worth of ads the year before. They blacklisted about 90,000 websites in the process. That should give you an idea of how prevalent this is. That’s just Google. Now, granted they do run a large portion of the online ad networks. There are plenty of other online ad networks and they may or may not be as effective as Google at policing this stuff. At the end of the day, companies have turned to online ad revenue as a big source of income. They are desperate for those ad dollars and mouse clicks. For a few years, they looked the other way while malicious advertisers bought the ads and infected countless users in the process. The issue really to blew up in 2015. As the numbers in the article show, the problem is far from solved. (If anything it’s getting worse, although companies are getting more responsible about policing it). I’ve never taken the approach of “let others keep me safe.” Not in my personal life and certainly not online. The Internet has always will always be a dangerous neighborhood. The vast majority of users, really have no idea what threats are out there, how common they are and how to protect themselves online. Just running “an anti-virus” program is a good step, but it’s nowhere near the be all, end all of online security. Running ad blockers in your browsers is an excellent step towards keeping your computer safe online and closing down a major route that attackers are using to victimize you. Either with a tech support scam or in the worst case a ransomware infection.